Heatwave on the way for Sussex? 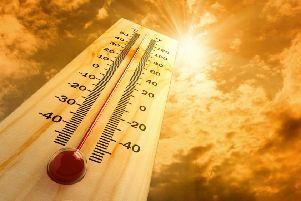 Sussex could enjoy hot and sunny days during August, with temperatures moving to heatwave conditions. The see-saw Sussex summer so far has seen a mini heatwave, several warm cloudy days, lots of wind and plenty of showers. According to the Met Office, over the next couple of days the daytime temperature is set to stay below average in the high teens and inland the overnight temperature could drop to just single figures. Once July is out of the way, though, Sussex is likely to become very warm. The Met Office long range forecast is that there will be a north/south divide with rain and cooler days in the north but some very hot and sunny days in the south.